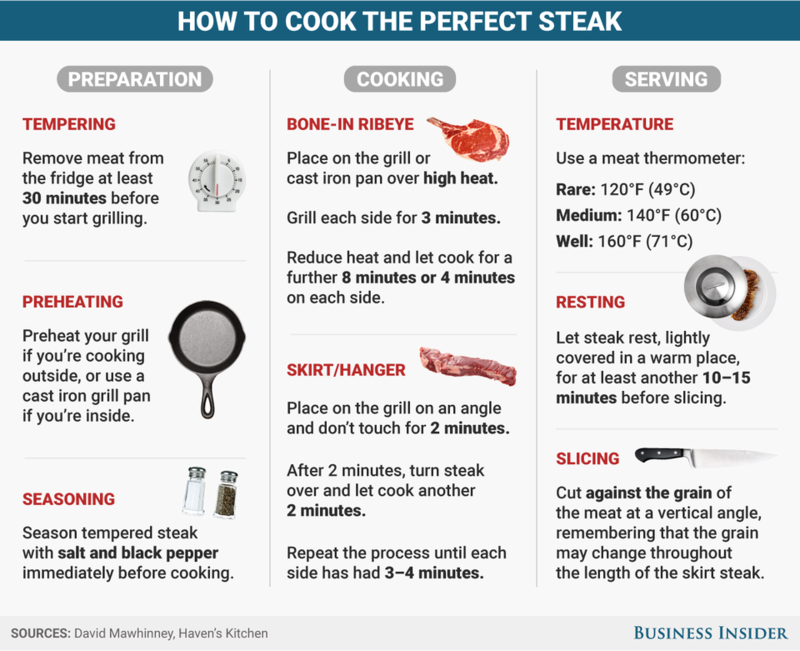 As summer heats up, it's time to perfect your grilling technique. We reached out to professional chef David Mawhinney of Haven's Kitchen in New York to talk about the best cuts of steak to grill, as well as how to temper, season, and finish your meats. Keep this graphic of his best advice handy at your next BBQ.